The TPLF is doing anything and everything to destabilize Eritrea, even after they have been kicked out of Menelik Palace and moved to their sanctuary region in Tigray. What can we do to eliminate this threat once and for all? Even though the so-called opposition are spreading exaggerated news that “flood of leaflets” are found scattered across Eritrea, but those numbers of leaflets found thrown on the street, and few posted on poles were put by Ethiopians from Tigray who support the TPLF and came to Eritrea as traders, in association with traitors from Eritrea and financed by TPLF. Arrests, as well as expulsions, were made recently to some Tigrians who came from Tigray region as traders; Currencies (Dollar, Nakfa, and Ethiopian Birr), Eritrean mobile contact numbers and anti-Eritrean government leaflets titled YIAKIL (enough) were found in their carry on backpacks. Some of the traders from Tigrai were doing short hour business at night, selling jeans and jackets at a very attractive price, and almost impossible to believe, and then disappear from the streets in less than half an hour. Anti-Eritrean government leaflets were dished inside the pocket of clothes and jackets that they were selling in unbelievably rewarding price. The very low price tag was designed not to make a profit but to attract buyers and covey TPLF and ‘Traitors’ sponsored messages. Eritreans inside and abroad should not buy or believe the recent propaganda that is spreading as if the people of Eritrea and the government are ‘detached’. In fact, the people and the government grasped these are the work of the TPLF, with the billions of dollar it has stolen from companies such as METEC. The TPLF is doing anything and everything it can to destabilize Eritrea, even after they have been kicked out of Menelik Palace and moved to their sanctuary region in Tigray. 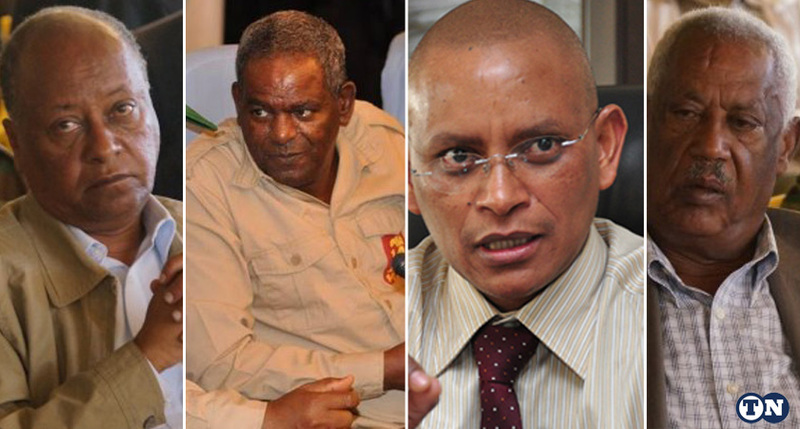 The Eritrean government has enough evidence that the “YIAKIL” campaign is financed by TPLF. Change is good but a change in the hands muddy-bloody TPLF is at all time treason, and we Eritreans should be careful what’s planned against us, not for us. A couple of years ago, ASSENNA radio went bankrupt and quit radio broadcasting. But to witness now that it has started broadcasting a satellite television, which definitely requires more resources and funding than basic radio broadcasting, should be an eye-opener to all of us and inquire who actually is behind the financing in order to destabilize Eritrea. Peace for all Peace loving Eritreans.